Our goal is to help you find the right animal who matches your lifestyle and needs, bringing you lifelong companionship. Our volunteers will help you visit with the animals at the shelter. If you see an animal on our website that you are interested in, make sure to bring the animal’s ID number with you so staff and volunteers can find the animal for you. Be 18 years of age or older with a valid California driver’s license or other acceptable identification. Provide proof of home ownership or permission to have a dog from your landlord. We cannot hold the dog that you want to adopt while you try to meet this requirement. Visit with the dog you plan to adopt. 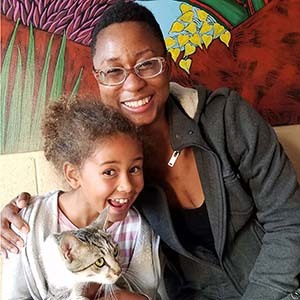 Adopters are encouraged to bring all the human members of their household, and must bring children age 12 and under residing in the house, to meet their new companion. Fully complete the Adoption Dog Questionnaire and sign-in no later than 15 minutes before closing. Never have had any cruelty convictions, animal control violations or broken any adoption contracts in the past. Agree to and sign the “Statement of Adopter” which includes a waiver of liability. Pay the fees the same day as the adoption. Fees include spay/neuter, vaccinations, and microchip. A licensing fee may apply. All dogs must be spayed or neutered before they can go home. If the companion you adopt has not been altered, you will not be able to take him/her home at the time of adoption. A staff member will schedule surgery and notify you when you can return to the shelter post-surgery to bring your companion home. Other canines in the home must meet the new dog prior to adoption. Adoptable dogs can be “cat-tested” upon request. Agree to a home inspection if the dog is a large breed dog or dog that has been identified to need additional attention. 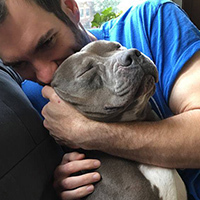 Be aware of the Oakland and State Laws about dog ownership. For Oakland dogs, show proof that your dog has a current license. You can license your dog at Oakland Animal Services; ask a public service representative at the front counter. *If a canine introduction cannot be performed at the time of adopting due to staffing deficiencies, a hold will be provided through the end of the shelter’s next business day. Visit with the cat you plan to adopt. 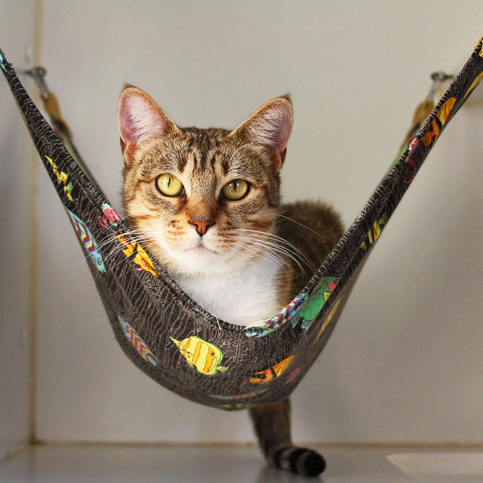 Adopters are encouraged to bring all the human members of their household, and must bring children age 12 and under residing in the house, to meet their new companion. Successfully complete the Adoption Cat Questionnaire and sign-in no later than 15 minutes before closing. Pay the fees the same day as the adoption. Fees include spay/neuter, vaccinations, and microchip. All cats must be spayed or neutered before they can go home. If the companion you adopt has not been altered, you will not be able to take him/her home at the time of adoption. A staff member will schedule surgery and notify you when you can return to the shelter post-surgery to bring your companion home. We can not hold the cat that you want to adopt while you try to meet the requirements above. Visit with the rabbit you plan to adopt. Adopters are encouraged to bring all the human members of their household, and must bring children age 12 and under residing in the house, to meet their new companion. Fully complete the “Rabbit Adoption Questionnaire” and sign-in no later than 15 minutes before closing. All rabbits must be spayed or neutered before they can go home. If the companion you adopt has not been altered, you will not be able to take him/her home at the time of adoption. A staff member will schedule surgery and notify you when you can return to the shelter post-surgery to bring your companion home. We can not hold the rabbit that you want to adopt while you try to meet the requirements above.